You may get drunk in a party with your friends once or more, sometimes to the point that you are not aware of what’s going on around you. Sometimes, it is not that much and you know that you can definitely drive yourself home. But is it safe when you still have alcohol in your body? Weight: Like any drug, the smaller weight you have the greater effect you will get. Gender: Alcohol is known to remain in a women’s body much longer than it does in men. This is because, in comparison with mean, women have more fat and less water. Age: The younger you are, the faster alcohol will get out of your body. This is normally true with the one between 20-30 year olds. Time passed since last drink: The longer the time passed, the lower level of alcohol will remain in your body. The type of alcohol you’ve consumed: Different types of alcohol can affect how fast the body detoxifies alcohol. 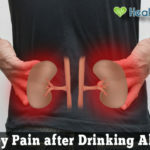 How much you’ve eaten while drinking: For those who don’t have anything in their stomach, it requires a lot of time for them to metabolize alcohol. The type of medications you’re taking: People who are taking aspirin, paracetamol and pyrazole compounds may have a slower rate of alcohol metabolism. Other Factors: Different people have different health situation, which is why the effect of alcohol will differ from one to one. BAC, which stands for blood alcohol concentration or simply the concentration of alcohol in your blood, is most commonly used as a metric of alcohol intoxication for a legal or medical purpose. So, to get rid of the alcohol in your blood, it is advised to learn about BAC. Blood alcohol content is usually expressed as a percentage of alcohol per mass of blood, depending on the country. Pretty much everyone, regardless of age, size, or race, metabolizes alcohol at the same pace. That pace is .015 of BAC per hour. For every hour you are not drinking, .015 of the alcohol in your body is being metabolized and disappearing from your body. So, it would take about 5.33 hours for the alcohol to be eliminated from your body if your BAC was 0.08 (which is legally impaired). 0.10 – 0.12 BAC: Significant impairment to motor coordination and loss of good judgment. Speech may be slurred, balance, vision reaction time, and hearing will be impaired. Probably not thinking straight. 0.13 – 0.15 BAC: Very obviously drunk. Severe impairment to judgment, perception, and major motor skills. Very slow reaction time. Blurred vision, loss of balance and slurred speech. Feelings of well-being starting to be replaced by anxiety and restlessness (dysphoria). Vomiting common. 0.16 – 0.19 BAC: The drinker has the appearance of a “sloppy drunk.” At this point, most drinkers begin to feel incapacitated. Many social drinkers will pass out. Nausea begins to set in and the drinker has difficulty focusing on any object. A BAC chart, calculator or breathalyzer are all good tools to help you stay safe when drinking. However, it’s impossible to calculate your absolute BAC without a blood test. If you feel like you’re in danger of over drinking or unable to drive, don’t. During your drinking time, remember to take advantage of breathalyzers to calculate your BAC. Keeping track of alcohol consumption, your weight, and reference charts are great ways to stay responsible and get an estimate. Besides, you should also keep a BAC chart on your smartphone or in your wallet to use as a reference. If you still want to calculate BAC, try calculating it with the formula below (source: washington.edu). There are many online platforms which allow you to make a calculation for your BAC during a typical drinking occasion. Such online BAC calculator is good for estimating your BAC level, but your actual BAC will vary depending on a host of different factors, such as your hydration status, recent meals, fluid intake, kidney function and much more. You are supposed to answer a number of question to come to the final BAC level. Such calculators are not a legal definition or indicator of blood alcohol content. It is just an approximate guideline to inform alcohol drinkers of the estimated potential BAC range that one might experience after responsibly enjoying the flavor and diversity of beer. According to the National Institute on Alcohol Abuse and Alcoholism (NIAAA),”binge drinking” means the Body Alcohol Content (BAC) is 0.08% or higher. So if your BAC is 0.08% or higher, you are legally impaired and can’t drive, if you don’t want to be arrested for driving while intoxicated. 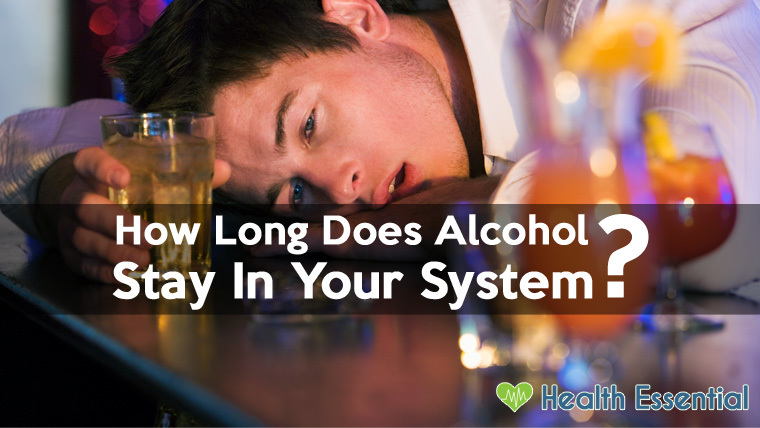 Therefore, it will take about 5 hours and 20 minutes for your body to metabolize all the alcohol completely. If you know your BAC, you don’t need to ask “How long does it take to get alcohol out of your system?” So instead of assuming anything, it’s better to get some kind of alcohol tester, like a breathalyzer to measure your BAC more accurately. Once alcohol enters the bloodstream, it travels to the liver where it’s metabolized. Regardless of weight, race or gender, the liver metabolizes alcohol at the same rate for one. However, for someone suffering from liver disease or a serious liver condition, rates will be considerably slower. According to research, for an ounce of alcohol, it will take the liver one-hour to metabolized. 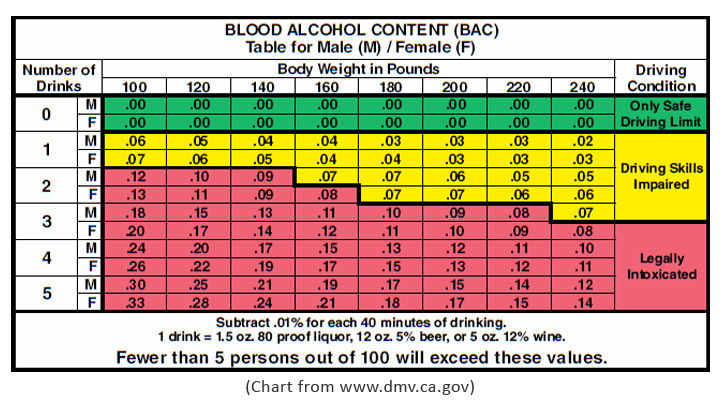 For normal people, one ounce of alcohol will produce a .015 blood-alcohol concentration. So the time alcohol stays in your system will be directly proportional to the amount of alcohol you take. A method known as “EtG” is used to test for the presence of a related chemical, ethyl glucuronide, in the urine. Its presence in urine may be an indicator of recent alcohol consumption. 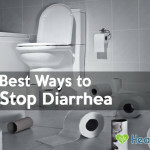 Positive urine tests are still possible several days after drinking moderately. Generally speaking, an “EtG” test detects ethyl glucuronide in the urine, which confirms alcohol ingestion as long as 3-4 days after intake or about 80 hours after the liver metabolizes alcohol. The EtG test has become known as the “80-hour test” for detecting any amount of consumed ethyl alcohol. Don’t try to fool a Breathalyzer by any means. Because the BAC depend on how much you had to drink, and when you had that drink. If the alcohol still remains in your blood, you will have alcohol in your breath also. If you got a hard drink last night, don’t surprise when getting up in the morning and still have boozy breath. Brushing your teeth don’t take that breath away. 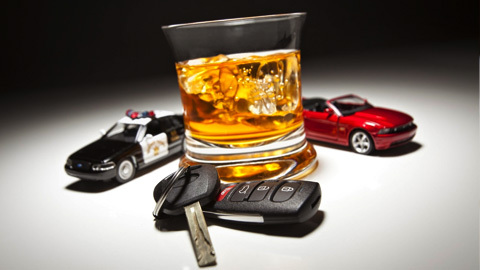 The offense of driving under the influence or DUI, typically relates to alcohol intoxication. It is the crime of driving a motor vehicle while impaired by alcohol or other drugs to a level that renders the driver incapable of operating a motor vehicle safely. A drunk driver’s level of intoxication is typically determined by a measurement of blood alcohol content (BAC). Alcohol is a depressant drug which may slow down the activity of the central nervous system, for which gives an enormously negative impact on the brain of any driver, such as impaired vision, reduced reaction times, reduced concentration and vigilance, feeling more relaxed and drowsy and falling asleep, difficulty in understanding sensory information, trouble in doing several tasks at once and failure to obey road rules. The alcohol will slow down your conscious. So, don’t think that if you are careful, you can drive safely. Take time to finish your drink, don’t gulping it. Learn to restrict yourself from having more than one drink per hour. Drink beer or wine, which contains moderate amounts of alcohol. Don’t join any “chugging” contests or drinking games. Be aware of what you drink, because some drinks, such as zombies, can be deceiving with undetectable alcohol content. Don’t let anyone force a drink on you. Taking juices, or water or non-alcoholic beverages between your drinks. To help control your intake and your BAC, you should active while enjoying your drink by talking, socializing, chatting, dancing, etc. If you have been caught driving with a blood alcohol or concentration over the legal limit, it is a good idea to arm some useful knowledge about it. Once you know how much it affects your normal life and how long alcohol stays in your system, you should find your own way to make yourself under reasonable control. Remember that the penalties for driving under the influence of alcohol can be harsh and generally impact your whole life. Be happy in your drinking party but then be careful with the amount of alcohol you consume.